Alex Hayward assists clients in the Adelaide office and also manages the Melbourne Family Wealth Management team, which serves more than 1,100 clients with $1.2 billion in funds under management. With a background in providing quality investment advice and researching investment opportunities, Alex Hayward tailors the Investment Committee’s views and recommendations to his client’s individual circumstances, goals and risk profile. Alex says Dixon Advisory clients benefit from receiving consistent advice that has been tried and tested by the very experienced professionals who make up the Investment Committee. “They are continually searching the world for new investment opportunities – I believe that is one of the great benefits of the Investment Committee,” he says. 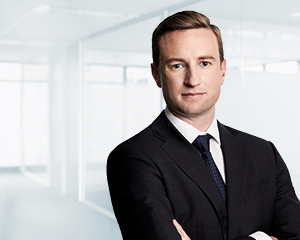 Alex enjoys interacting with clients, discussing investment opportunities and the impact of global issues on their portfolios, as well as analysing data and trends. “Once you are comfortable with the fundamentals it is important to realise that investments are long-sighted and you have to be prepared to invest for the long term,” he says. Alex joined Dixon Advisory as an Investment Analyst, working with senior advisers to assist clients as well as researching new investment opportunities. He says his background gives him a sound understanding of the markets and particular insight into the investments recommended by the Investment Committee and the process employed to assess them. Before joining Dixon Advisory, Alex worked with Deloitte Touche Tohmatsu on growth strategies for companies. Alex has a Bachelor of Finance (majoring in Corporate Finance, Statistics and Econometrics) from Australian National University and a Masters of Applied Finance from Kaplan Professional Australia. Alex has also successfully completed the Stockbrokers Association of Australia Securities & Managed Investments Accreditation.